Wool - the familiar comfort of wool rugs makes for a welcoming feel throughout the home. Rich and luxurious, wool has a soft, cushioned texture that can be woven into an extensive range of designs to enhance any interior. Wool rugs from The Natural Rug Store are bespoke and prices are based on your rugs configuration. 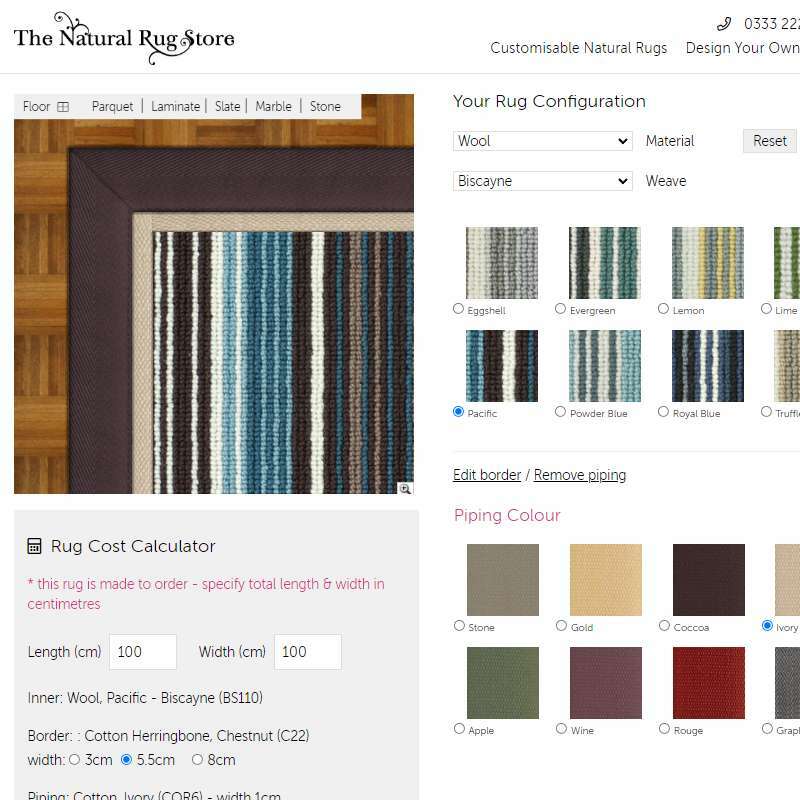 Use the Rug Builder to design your own superior quality Wool rug or runner. Create and save as many rug designs as you wish, and when you're completely satisfied, buy securely online! Wool Wool has been used in the home for centuries and is one of the most versatile natural fibres. Some breeds of sheep produce wool that is particularly suited for producing hard wearing textiles such as carpets and other floor coverings. Wool requires little processing to become yarn so it retains all of its natural resilience even after being spun and woven. Wool rugs from the Natural Rug Store use a particularly hard wearing wool woven using the latest techniques for long lasting quality. Wool is one of our most popular materials. To compare wool against our other natural materials please see our Suitability section.